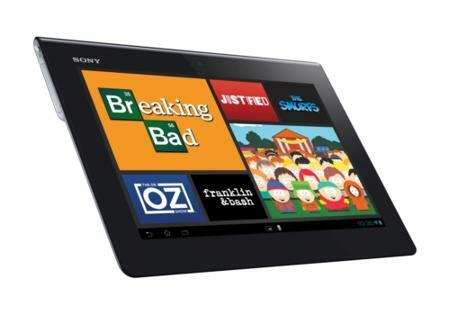 Sony Xperia Tablet S – a whole new way to tab? It is a safe bet to say that the Android-powered tablet market is saturated with many different devices from various hardware manufacturers. After all, the Android fragmentation issue has added to that conundrum, but it should not be too large of an issue to prevent players in the market from making their own contributions. Case in point, Sony Mobile’s latest tablet announcement, the Sony Xperia Tablet S, will be in vogue with the times by sporting a thin and light design that comes packed with original applications as well as exclusive features from Sony. This new device will accompany other smartphones from Sony under the Xperia label, which is not too bad a thing, actually. What is the reason that Sony wants to introduce the Tablet S under the Xperia family name? Well, Sony did so in order to offer users a consistent experience between the immediate convenience of an Xperia Smartphone as well as an immersive entertainment experience of an Xperia Tablet. After all, research has shown that common user experience across the devices will help enhance overall usability and intuitiveness. When merged with optimally designed hardware and software, the Xperia Tablet is said to offer consumers with a compelling way to play, watch, listen, share, discover and connect. The Xperia Tablet S can also be considered to be an over-glorified universal remote control, since it has added macro functionality that lets you turn on multiple devices of most brands, ranging from the TV to Blu-ray Disc players and audio system, using but a single touch of a button. This means you can easily program sequenced commands such as “Watch TV” or Play Music”, while performing the sequences with one tap on the screen. Not only that, there is a new app known as Watch Now, enriching the entire TV watching experience. Watch Now delivers an interactive, visual program guide that is fueled by personal preference and real-time trends from users’ social media feeds. Apart from that, the Xperia Tablet S boasts of a splash proof design which will help provide additional protection from the elements. After all, you can never tell just when Murphy might strike, do you – especially when a wet disaster happens! IPX-4 splash proof rating allows the Xperia Tablet S to withstand splashing water at all angles, but this happens only when the multi-port cover is in place. As for the Xperia Tablet S’ specifications, we are looking at Android 4.0 Ice Cream Sandwich, a thin and light aluminum body, a NVIDIA Tegra 3 quad-core processor, an SD memory card slot, HDMI connectivity, integrated Wi-Fi, and ClearAudio+ mode amongst others. You can choose from 16GB, 32GB and 64GB capacities which will retail for $399, $499 and $599, respectively.